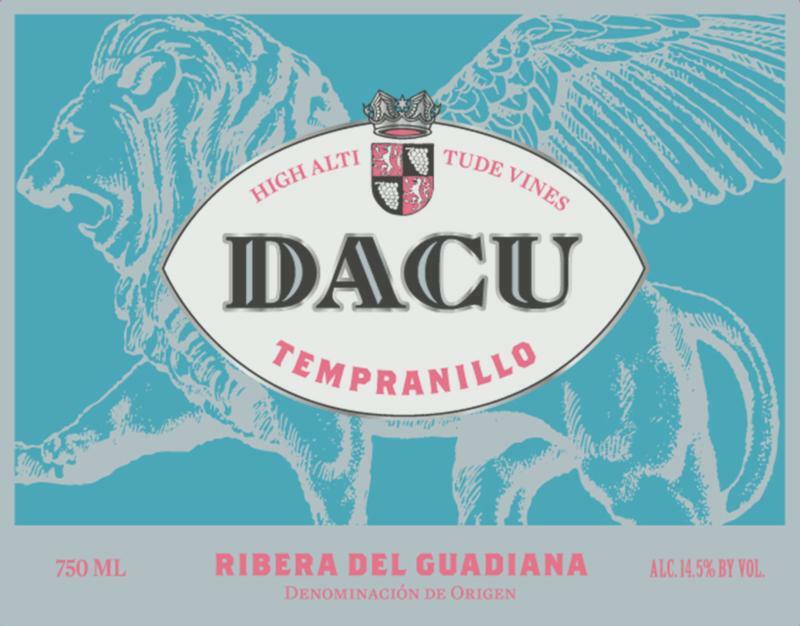 Dacu comes from Matanegra, the third highest district after Montanchez and Cañamero and is a single-vineyard wine made in the unknown region of Ribera del Guadiana located in the south west of Spain next to the Portuguese border. Although unknown it is the second largest geographical wine appellation in Spain. This large region is divided into 6 subzones: Tierra de Barros, Ribera Alta, Ribera Baja, Cañamero, Montanchez and Matanegra. Dacu was founded in 2007 with the goal of showcasing the many virtues of this unknown territory. The high-altitude vineyard, at 640 meters (2,100 ft.) elevation, is located in the town of El Raposo. This vineyard's altitude exposes the grapes to Atlantic breezes, which makes this site cooler than other vineyards in the region. The 18-hectare (45 acre) vineyard is comprised of sections with three different soil types: clay, limestone and sand. All Tempranillo vines were planted in 1993, and are trained on double cordon trellises with 2 wires, achieving greater shade due to the umbrella effect of the trellis training. For climate, the area's average temperature from April-October is 68ºF and the annual rainfall averages 21 inches.